For whatever reason, Drake Bell really seems to have it out for Justin Bieber. The first time he spoke up about it, it was buried in a general rant about Bieber, Ariana Grande, and Lady Gaga. 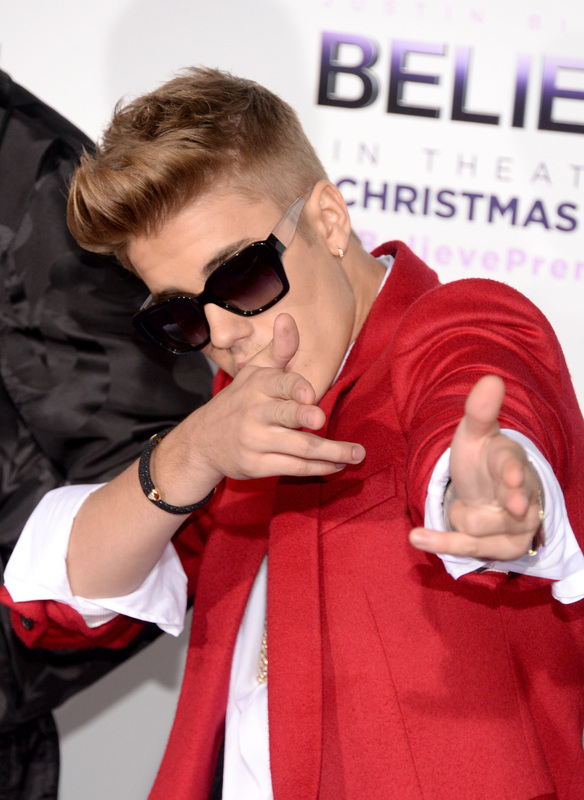 Then, he and Aaron Carter spent their airport downtime taking more pot shots at the Biebs. Bell has done his best to make it clear that his feud with the singer has nothing to do with Bieber himself and everything to do with his enthusiastic fan base (collectively known as "Beliebers"), but that story is a little hard to swallow when he tweeted his support of the petition to have Justin Bieber deported back in January. Bieber, on the other hand, had remained surprisingly quiet through all the controversy almost as if it wasn't worth making into a big deal. We really should have known better. The hastag #DrakeBellFlopParty was trending worldwide on Twitter Friday morning, overflowing with euphoric Beliebers posting as many pictures and macros of Bieber laughing as they could find or throw together. Drake Bell has been discussing his upcoming album release party on his Twitter all week and, apparently, Justin Bieber decided to crash the party. Sort of. Bieber drove up out front of the venue in a van and opened the door to the cheers and screams of every Belieber on the block. Then he presumably pulled out a pair of oversized sunglasses, pushed them up on his forehead, and popped his collar as he drove away. The video he posted to Instagram shows a grinning Bieber opening and closing the door several times along with the caption "So nice seeing my fans at the grove tonight". One Belieber posted a screencap of a since-deleted Instagram post of Bell looking out over the balcony at Bieber's van. The post was captioned with the words "why is @justinbieber sprinter van getting more attention than my album release party". He might not have outright called Drake Bell irrelevant, but the message innate in his little prank was pretty clear and more than enough for Beliebers to take it and trend with it. I actually had high hopes for Bieber. He's been in the news for every scandal under the sun, like the time Bieber trashed a Wal-Mart to the time Bieber started a Twitter cult. All the shade Drake Bell has been throwing at him would have seemed like the kind of situation he'd throw himself into escalating and we were proud of him for taking the high road. Then again, expecting a 20-year-old child star to take the high road was asking a lot. Now that metaphorical shots have been fired from Bieber, it's anyone's guess how bad this feud is going to get. At least it officially qualifies as a feud now.